Don DeLillo (b. Don DeLillo November 20, 1936) is an American novelist, playwright, essayist and short story writer. Originally a well-respected cult writer, DeLillo earned widespread recognition for his 1985 novel White Noise. This was followed by another bestseller, Libra, in 1988. His works reflect on a variety of subjects, including sports, performance art, television, mathematics, language, the digital age, the Cold War, and global terrorism. DeLillo grew up the eldest son of a large Italian Catholic family who lived in the Bronx, one of New York City’s five boroughs. In his teenage years, he worked as a parking attendant. While watching over the vehicles, he began to pass the time by reading the works of authors like William Faulkner, Ernest Hemingway, James Joyce and Flannery O’Connor. DeLillo graduated from Cardinal Hayes High School in 1954. He went on to attend the Bronx’s Fordham University, where he earned a bachelor’s degree in 1958 in the study of Communication Arts. After graduation, DeLillo accepted an advertising job to pay the bills because no work was available in his chosen field of publishing. He eventually spent five years at Ogilvy & Mather as a copywriter, developing ads for major companies such as Sears Roebuck. During his tenure at Ogilvy & Mather, Don DeLillo produced his first story, 1960’s “The River Jordan.” After resigning from his copywriting position, DeLillo focused his efforts on writing his first novel. Americana, the story of a television network programmer who embarks on a cross-country road trip, was published in 1971. Bolstered by its success, he began the most productive period of his career. In the 1970s, DeLillo would see the writing and publication of six other novels that were all met with critical praise and modest sales. The commercial breakthrough for Don DeLillo came in 1985 with the publication of White Noise, a novel that earned him the National Book Award for Fiction in that same year. At the time, it was lauded as a prime example of postmodern fiction. As a follow-up to White Noise, DeLillo wrote the 1988 bestseller Libra. Libra served as a fictional take on the saga of Lee Harvey Oswald in the months leading up to his assassination of President John F. Kennedy in 1963. For most of his early career, DeLillo was considered a recluse. He rarely accepted interviews with newspapers and other media outlets. However, after the arrival of White Noise, DeLillo began to engage more with the media. Although DeLillo took an extensive absence in the 1990s, he produced two of his most acclaimed works during this time period: Mao II and Underworld. DeLillo is a two-time finalist for the Pulitzer Prize for Fiction, with nominations stemming from both novels. Mao II won the PEN/Faulkner Award, bestowed upon the year’s best fiction works by living Americans, in 1992. DeLillo scored a second nomination for his 2012 novel The Angel Esmeralda. In 2010, Don DeLillo was honored with the PEN/Saul Bello Award for Achievement in American Fiction. Additionally, DeLillo was awarded the Library of Congress Prize for American Fiction in 2013. 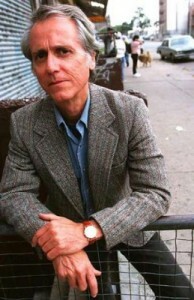 Don DeLillo has also received recognition for his work as a playwright. Since 1979, he has written five plays. His most recent play was 2007’s The Word for Snow. Other plays in his repertoire have included The Day Room, The Engineer of Moonlight, Love Lies Bleeding and Valparaiso. In addition to these achievements, two of DeLillo’s novels – Libra and Mao II – have received stage adaptations. Jacobs, Timothy. “Don DeLillo.” Conspiracy Theories in American History: An Encyclopedia. Ed. Peter Knight. Oxford: ABC-CLIO Press, 2003. 219-220.